Jasmine's art exhibitions have been written about in numerous publications. These are a selection of featured pieces. For Jasmine Shah-Varma, art has always been an enjoyable experience. The Mumbai-based art curator and writer has contextualised several shows in India; Jasmine’s constant endeavour is to hunt for originality of ideas and sincere talent. She has also been writing about art extensively in various publications and art magazines. 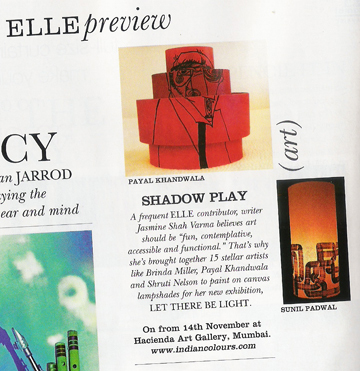 In a chat with iDiva.com, Jasmine Shah-Varma talks about curating and the current art scene in India. Copyright (c) 2011 Jasmine Shah Varma. All Rights Reserved.